I’ve wanted to visit Ireland for about as long as I can remember. 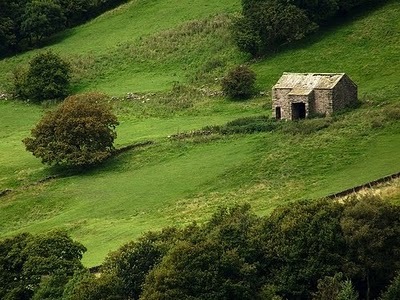 The green hills, the pubs, the castles, the cold, I want to experience it all. But it’s more than that. I feel like if I went there, I wouldn’t want to leave. It seems like the emerald isle could be the home I’ve never seen. Ireland has been calling to me. Diminutive Roommate and I were chatting at the breakfast table a few weeks ago about vacations, and how long it’s been since I took one (London with the family in May, 2009). I said I would love to go to Ireland. She said, “Let’s go!” The show she’s on will be ending a bit before I start school, so I’m planning on leaving Karate Job a few weeks before classes start to take a trip with her. It was a pretty flawless plan, but like most plans, it had, in fact, a flaw. I IM’d Diminutive Roommate a week after our convo: “I’m getting excited about Ireland,” and got a response: I don’t think I can go with you. Teacher Roommate had reminded Diminutive Roommate that she had promised to go with her to Ireland years ago. My heart sank. I wasn’t even angry, just horribly disappointed. A couple of weeks passed while we ignored the topic, and I finally sat down while Boyfriend and Diminutive Roommate’s ex-boyfriend and a good friend of mine from college (let’s call him Boardgame Friend since he’s super into boardgames, and even taught a class on table-top gaming for actual credits at an actual school once) played a zombie game on the floor nearby. I said, “Ok, what’s going on with Ireland? Tell me what’s on your mind.” Turns out she won’t be able to keep her promise to Teacher Roommate since her schedule will preclude her from traveling with her while TR is available to travel (August), while DR and I can travel in late May/early June. This was all truth as of last week. Yesterday afternoon I was chatting with Teacher Roommate about Diminutive Roommate’s schedule, and she said, “Sounds like they’re pushing the show back, too.” I thought, No. No way. there’s no way Diminutive Roommate wouldn’t tell me that her schedule had changed, thus potentially changing my plans to travel abroad for the first time in three years. Surely… surely she would tell me. I texted her asking when her show would be done. No answer. When she got home, she broke the news that the show might be ending later than planned, but she wouldn’t know for another week. 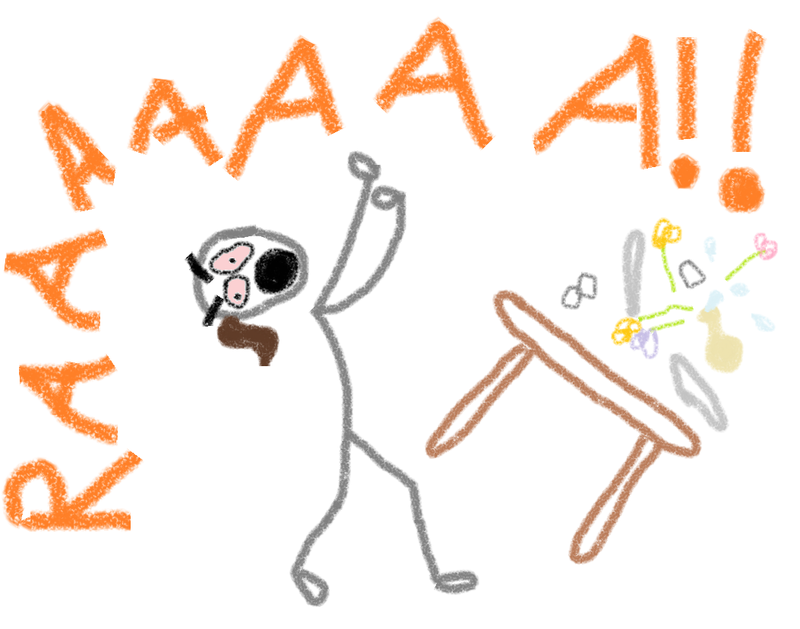 note to self: table flipping looks super gratifying. must try. Now I’m placed in the position of deciding where I should really just consider where I want to travel alone. Should I do another archaeology expedition instead? I had such a blast in Belize, but I was surrounded by people my own age there, too. Should I join a tour so I can experience the country in a group? Wandering around alone definitely has its appeal, but it does sound a bit… lonely. Sharing new experiences with someone you love is so fun. Sure would be nice to have Diminutive Roommate there with me.